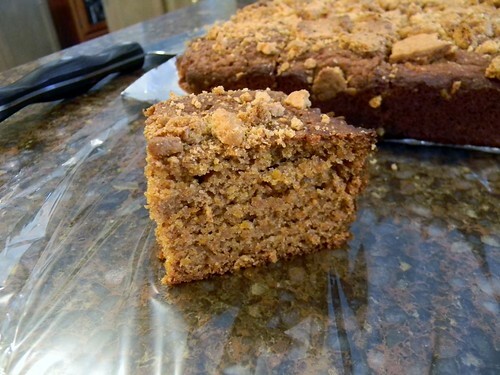 Fruit Butter Spice Cake | What Smells So Good? Preheat oven to 350 degrees F. Lightly grease a 9” square pan and line the bottom with parchment. In a bowl, beat together the oil, melted butter, xylitol, Truvia and sugar until blended. Add the egg, buttermilk and fruit butter, mixing well. Add the flour, baking soda, salt, cinnamon, cardamom, cloves, black and white pepper and the orange zest. Mix until no streaks of flour remain. 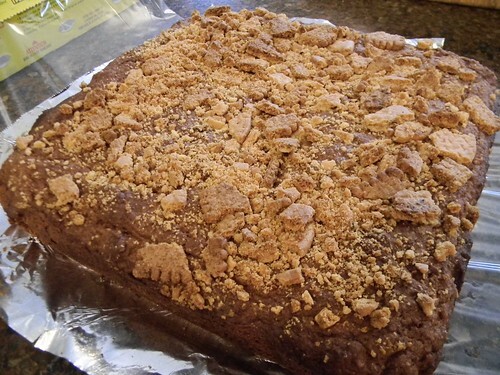 Pour the batter into the prepared pan and top with graham cracker pieces. Bake 40 minutes, until tests done. Cool completely in the pan.